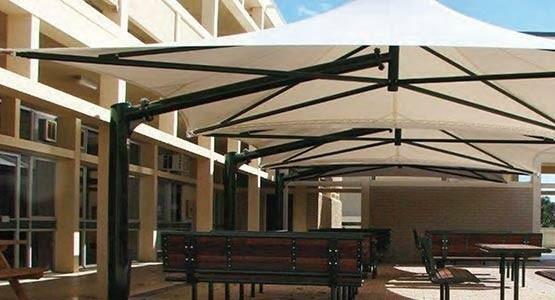 Create your own custom shading and all-weather canopies. 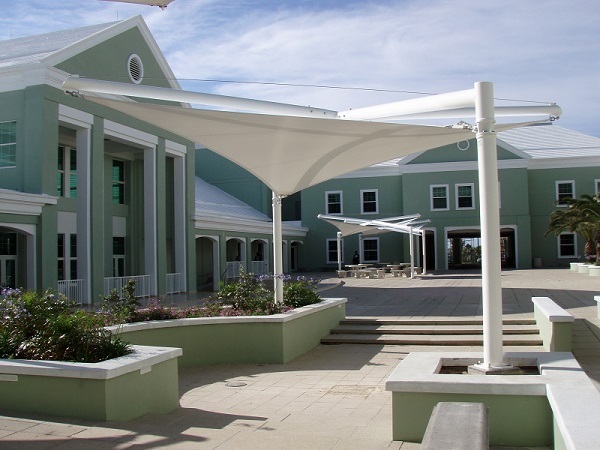 Limited only by your imagination, any shape or configuration can be designed and built by Shadeform’s team of shading professionals. Use our in-house design and 3D drawing services to develop your concept idea and fully realize a fantastic end result. 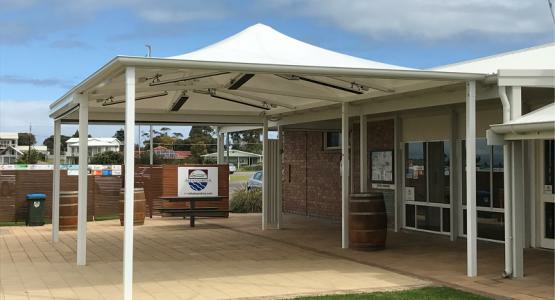 The Flexshade® range of Custom Modular Structures are also available, using standard engineered designs that offer durable yet affordable weather protection. 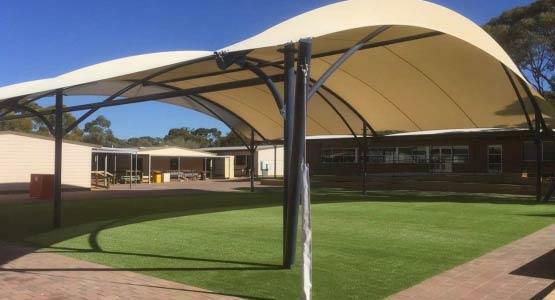 A high quality PVC fabric tensioned over architecturally designed steel framework makes the Tension Membrane an outstanding structure with visually striking features. 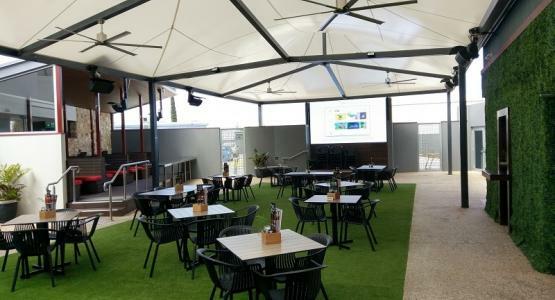 Heating and lighting options are available and each Structure comes with a combination of ideally located steel or wire supports. 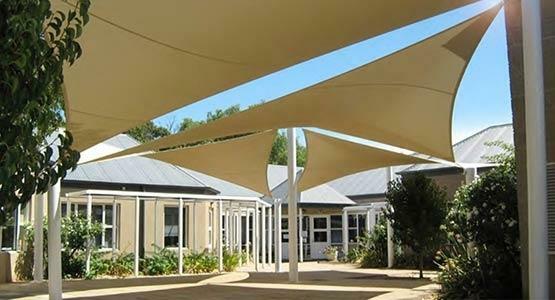 These elements have allowed Shadeform’s Tension Membrane Structures to perform extremely well against the elements - in some instances for well over 20 years. 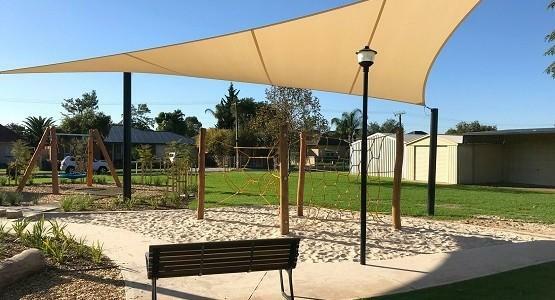 With almost 30 years experience in the design and manufacture of every product, you can be rest assured that Shadeform will deliver to you a smooth project that is hassle free from start to finish. The Hypar provides a unique design element that features a twisted membrane, including overhead steel support. Modules can be linked together offering a variety of plan layouts. 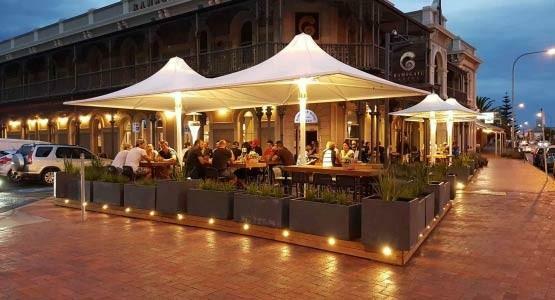 The Hypar is ideal for applications that require a contemporary shade solution with maximum coverage. 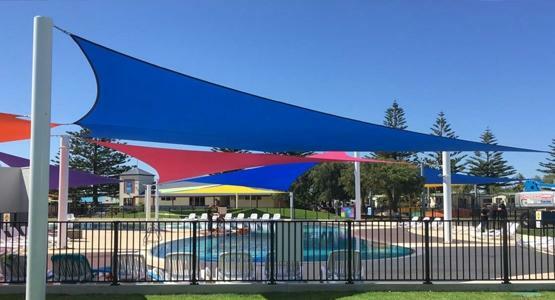 This range also offers a durable and attractive alternative to traditional shade sails. 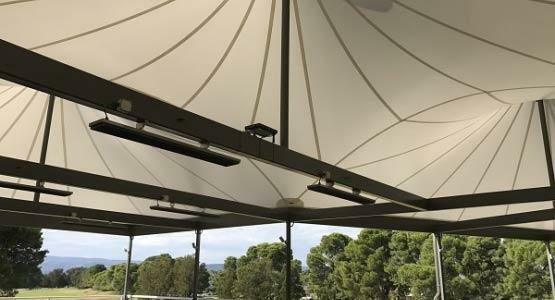 A classical conical shape with four corner columns, each Tetra has an internal balanced support frame situated beneath the membrane. 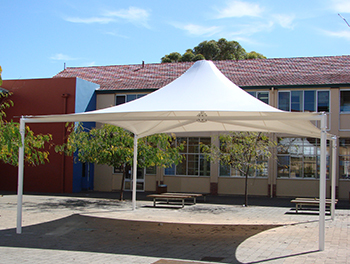 Available with curved or square perimeter edges, the Tetra can be linked to form a large continuous canopy. The addition of external blinds to the Beam Edge Tetra also enables the creation of fully enclosed spaces, to be used all-year round. 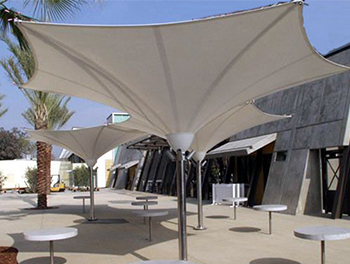 The Lotus is an inverted hexagonal cone that provides visually appealing and contemporary weather protection. 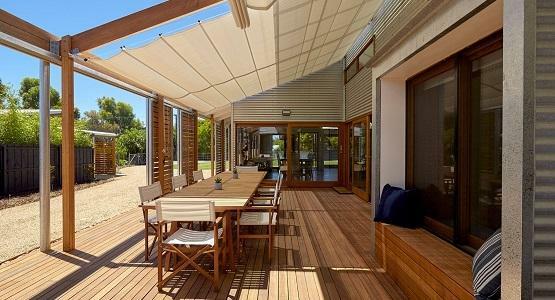 Support frames are concealed above the waterproof membrane and the design also incorporates internal rainwater drainage. Ideally suiting most custom layouts, the Lotus can be clustered together in a beehive pattern for a stunning architectural effect.